Recently, there is growing interest in regenerative surgery, one of the newer fields in plastic surgery. Currently, many types of regenerative surgery involving stem cell, PRP (platelet rich plasma), and cell therapy, etc. are being performed. 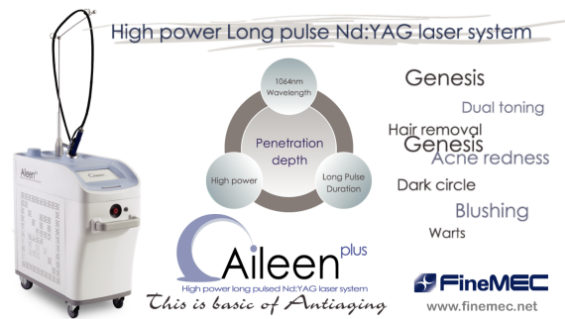 Laser along with other devices are also being used in clinical practice. Regenerative surgery or regenerative medicine is still a rather obscure field as it was recently developed. It also covers a wide range of applications which requires publication of more organized and coherent data. In this light, Professor Park Eunsoo of Plastic Surgery, Bucheon Soon Chun Hyang University Hospital, who is an expert in regenerative surgery in Korea, contributes a series of articles on regenerative surgery. In this series, Prof. Park will systematically discuss many different fields of regenerative surgery including stem cell, PRP, cell therapy, tissue engineering, and laser, etc. Recently, the Mainichi Shimbun of Japan reported “Shinjuku Clinic Hakatawon, a dermatologist clinic located in Hakata, Fukuoka, has been receiving patient referrals from a Korean bioventure since May 2012 and been injecting the stem cell the Korean company has cultured. Over 500 Korean patients are being treated at this clinic every month”. Another Japanese newspaper controversially reported “A clinic in Fukuoka, Japan is performing stem cell surgery in Korean patients without safety verification.” Another report’s headline read ‘Cha Hospital of Korea improves cerebral palsy with a donor’s cord blood stem cell’. This procedure took place from May to October, 2010 involving 31 patients with cerebral palsy. Cha Hospital used the stored donor cord blood approved for clinical trial. Through immune compatibility test, they injected the cord blood that was compatible with the patient into the periphery veins. Follow-up of 6 months after injection of the cord blood showed improvement in normal body posture and motor activity as well as cognition. Magnetic resonance imaging (MRI) results also showed that the cell density in the areas on brain overseeing motor system and sensory nerves increased. Moreover, positron emission tomography-computed tomography (PET CT) that evaluates the cerebral glucose metabolism confirmed activation of the basal ganglia and thalamus which play an important role in motor ability and cognition. Typing in the term ‘stem cell’ into an internet search engine retrieves related search words such as ‘stem cell cosmetics’, ‘stem cell breast enlargement’, ‘stem cell treatment of baldness’, ‘stem cell fat transplant’, and ‘stem cell diet’, etc. In addition, numerous clinics and hospitals are actively advertising on the internet cell-assisted fat transplantation, stem cell fat transplantation, stem cell breast augmentation, PRP (platelet-rich plasma) autologous cellular skin regeneration, PRP injection, PRP treatment of alopecia, and PRP facial autologous fat transplantation, etc. Stem cell and PRP technologies are expected to provide new solutions to difficult diseases and open up a new chapter of advanced medicine. However, physical, chemical and biological modification of stem cells including ex vivo culture and proliferation, etc. may cause genetic change and other side effects during processing and administration, which calls for safety verification. In other words, for clinical application of these procedures, efficacy and safety must be secured. Up to now, three stem cell therapy products have been approved and commercialized in Korea. The first product is a treatment of acute myocardial infarction called Hearticellgram-AMI (PHARMICELL). Introduction of this product earned Korea the title of “the first country in the world to develop commercialized stem cell therapy’. Hearticellgram-AMI is a treatment that extracts mesenchymal stem cells (MSCs) from the patient’s bone marrow and after four-week isolation culture in the laboratory, it is formulated into an injection and administered in the heart. The second product was Cartistem (MEDIPOST) which was used in the world’s first stem cell surgery conducted at Sun Orthpedics Clinic in Korea. Cartistem is the world’s first allogenic cord blood derived MSC treatment that was approved for treatment of knee cartilage defects in patients with degenerative osteoarthritis or osteoarthritis due to repeated trauma. The third stem cell product was Cupistem (ANTEROGEN). Cupistem is an autologous adipose derived MSC treatment. It earned conditional approval for treatment of fistula in Crohn’s disease. This also was the first in the world for autologous adipose derived MSC treatment. It is well known that the commercialized stem cell therapy uses stem cells that can differentiate into a variety of body tissues, or undifferentiated cells. As they can differentiate into many types of tissue cells under the right conditions, they can be applied to regeneration of damaged tissues. The stem cell or PRP procedures can be categorized as regenerative surgery. These two types of procedures may be the most well-known and widely performed of regenerative surgery. What are other areas of regenerative surgery besides stem cell and PRP procedures? Before we can answer that question, we should first understand the definition of regenerative surgery. ‘Regeneration’ will be the key word that plays an important role in the medicine of the near future. The dictionary definition of regeneration is ‘1. Revival from death. 2. A depraved or hopeless person rediscovering a correct way of life. 3. Reprocessing an old or broken object for use again’. The three tools for tissue regeneration in my field, plastic surgery, may be fat (adipose cell), adipose-derived stem cells, or PRP. However, AlloDerm, also known as regenerative tissue matrix, and many other artificial dermal substitutes have entered the market. Various products are introduced and being developed including commercialized growth factors (EGF, FGF), nucleic acid preparations including PDRN (polydeoxyribonucleotide) that are advertised as a tissue regeneration activator, and autologous fibroblast culture, etc. The word ‘plastic’ in plastic surgery originates form the Greek word ‘plastikos’. This word has the meaning ‘to mold or give form’. Modern-day plastic surgery has its roots in this meaning. Plastic surgery is often understood from the perspective aesthetic enhancement, however, a more correct recognition of it may be that it corrects physical or structural defect or deformity for restoring normal function. Plastic surgery is a specialized surgical field that deals with this type of correction. In other words, plastic surgery is a type of surgery that corrects congenital or acquired physical deformity or defect to restore the normal function and form. Plastic surgery deals with all parts of the external body from head to toe. Moreover, plastic surgery includes cosmetic surgery and reconstructive surgery. Aesthetic surgery is also used to replace the term plastic surgery, however, this may be limited to the efforts to correct non-defective appearance for enhanced aesthetic effect. On the other hand, reconstruction refers to correction and restoration of deformity or defects to normal. All types of congenital deformity including the cleft lip and cleft palate, facial deformation as well as burn scar and physical trauma from accidents, can be subjects of reconstruction which is part of plastic surgery. Moreover, reconstructive plastic surgery can be performed in combination with tumor removal. The most representative example of this is breast reconstruction performed after mastectomy. Functional and aesthetic effects are considered in reconstructive surgery as well and the distinction between aesthetic plastic surgery and reconstructive surgery does not carry much meaning other than categorization of the patient undergoing surgery as having normal function or not. Based on this information, the regenerative surgery can be defined. First, in regenerative medicine, replacing, restoring or improving the function of congenital defect or accidental tissue or organ damage is carried out. Organ transplantation, reconstructive surgery, artificial organ transplantation, tissue engineering and cell therapy are among the methods of treatment available in regenerative medicine. 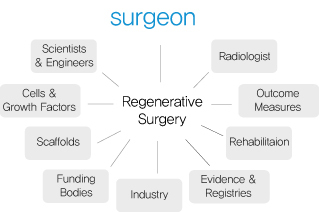 Therefore, regenerative surgery could be defined as use of the above methods or tools for tissue regeneration or application of techniques based on regenerative medicine for surgical treatment. The definition of regenerative surgery proposed in published literature differs slightly but the a study by Scala et al., published in 2012, defines regenerative surgery as ‘a new medical field in which stem cells are induced to migrate to the damaged tissue with the use of biological products (PRP, gel, etc.) or stem cells to encourage tissue proliferation and eventual tissue recovery’. In addition, the definition of regenerative surgery offered by ISPRES (International Society of Plastic Regenerative Surgery) at its website discusses reconstructive surgery using adipose-derived MSCs. The website also goes into three advantages of this new field. First, regenerative surgery allows the possibility of minimally invasive autologous transplants. Adipose-derived MSCs are isolated through centrifugation and lipoaspiration or can be extracted and directly transplanted during surgery. Second, with regenerative surgery, cell expansion is not necessary. Third, regenerative surgery has made age no longer a barrier. Adipose-derived stem cells are abundant in elderly patients and have excellent regenerative effect. In April 2012, Moral et al. published a paper in the field of orthopedics and sports medicine which discussed the link between science and surgery in regenerative surgery. This paper argued that a surgeon can repeat the benefits of regenerative medicine proven in laboratory in real patients in sports medicine. In fact, the term ‘tissue engineering’ was first used by Joseph Vacanti of Harvard Medical School and Robert Langer of MIT, pioneers of the field in the late 1980s. The definition of tissue engineering is ‘the science that aims to restore, preserve or improve the function of an organ or tissue through developing and transplanting a biological tissue by combining basic concepts of bioengineering and engineering’. Therefore, the ultimate purpose of tissue engineering is to provide patients a healthy, disease-free life through clinical application of technology. Recent advances in related fields such as material engineering, drug and gene carrier studies, stem cell studies, and nanotechnology, etc. have expanded the application of tissue engineering and increased its use in the clinical setting. This has allowed it to evolve into a high-tech medicine that befits the name regenerative medicine. In the case of organ transplantation, transplanting the donated organ to a recipient can bring optimal treatment effects, however, the number of donated organs falls far short of needed organs and an alternative treatment is urgently needed to tackle this problem. Reconstructive surgery uses a variety of materials to create an organ similar to the damaged organ for transplantation. It is mainly applied as part of plastic surgery and the function of transplanted material is limited. Artificial organ transplantation refers to transplantation of metal or ceramic organs to replace the mechanical function of the damaged organ. Prosthetic hip joints, cardiac valves, and intraocular lens, etc. are currently the most widely used artificial organs. However, this method is limited to organs with little biological functions and deterioration of the material in the long-run may cause problems. Therefore, use of live tissues for tissue regeneration or function enhancement may solve the fundamental problems. Cell therapy is part of such endeavor. With cell therapy, cells or pluripotent stem cells are injected in the desired organ for regeneration. Some argue that this is the start of regenerative medicine. Moreover, tissue engineering combines the use of materials to supplement the limitations of the cell therapy. In tissue engineering, cells that compose the organ or tissue or stem cells that may differentiate into such cells are placed into a three-dimensional scaffold (artificial substrate). Then an environment conducive to graft survival is provided through allowing blood flow into the transplant for regeneration of a damaged organ or tissue. Three essential conditions for tissue regeneration are cells, scaffold (substrate), and blood flow and may also include growth factors or cytokines. According to a study by Smith et al. published in 2011, the three essential elements for tissue regeneration are cells, protein, and scaffold. Unlike artificial organ transplantation, after a period of time, the transplanted artificial substrate is dissolved and replaced by a new organ or tissue with natural cells and extracellular matrix. Therefore, the regenerated tissue grows as the body matures and may last semi-permanently going through the same aging process as the rest of the body. Degradable scaffolds used in tissue regeneration can be categorized into porous and hydrogel types. Especially, minimally invasive procedure is possible using injectable hydrogel where large amounts of cells can be delivered through a needle. The next article will take a closer look at the essential elements of tissue regeneration. ❶ Regenerative Surgery 3rd e). compiled by Ji Yu, Ilwoo Lee, Koonja Publishing, Copyright. June 10, 2010. ❷ Regenerative surgery for the definitive surgical repair of enterocutaneous fistula. Scala M, Spagnolo F, Strada P, Santi P. Plast Reconstr Surg. 2012 Feb;129 (2):391e-392e. ❸ Advancing regenerative surgery in orthopaedic sports medicine: the critical role of the surgeon. Moran CJ, Barry FP, Maher SA, Shannon FJ, Rodeo SA. Am J Sports Med. 2012 Apr;40 (4):934-44. ❹ Regenerative surgery in cranioplasty revisited: the role of adipose-derived stem cells and BMP-2 Smith DM, Cooper GM, Afifi AM, Mooney MP, Cray J, Rubin JP, Marra KG, Losee JE. Plast Reconst r Surg. 2011 Nov;128 (5):1053-60.